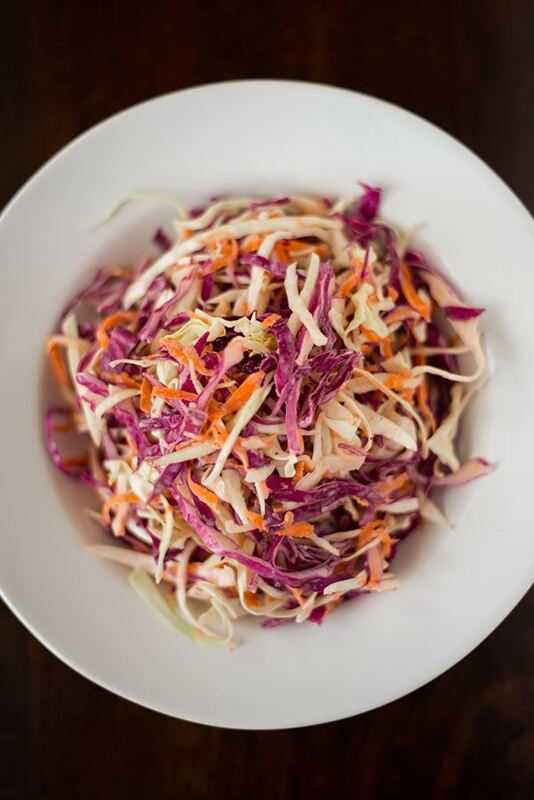 I grew up in a house of coleslaw lovers. 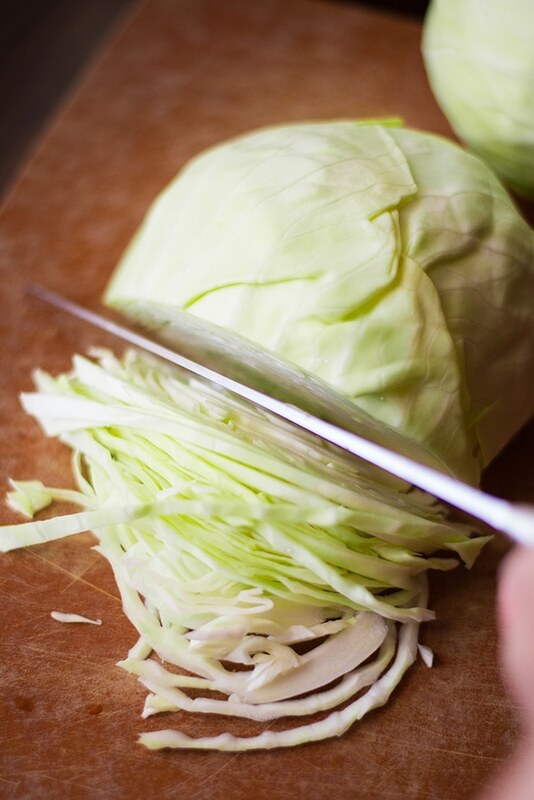 I now live in a house of coleslaw haters. 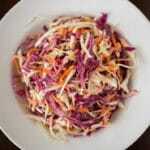 This makes enjoying coleslaw a little difficult given that no one else will eat it if I make it. And I mean no one. Not even a bite to see if they might like it. They don’t like it at picnics, with fried chicken or barbecue or, even worse, on pulled pork sandwiches. I mean…the humanity!?! That doesn’t stop me from making it, ordering it or loving it, though. No, sir. 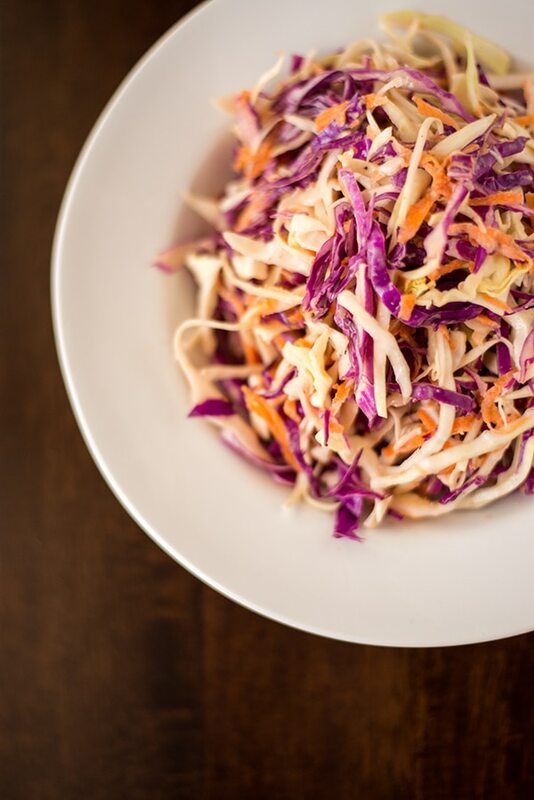 I eat it at picnics, with fried chicken AND barbecue and, best of all, on pulled pork sandwiches. 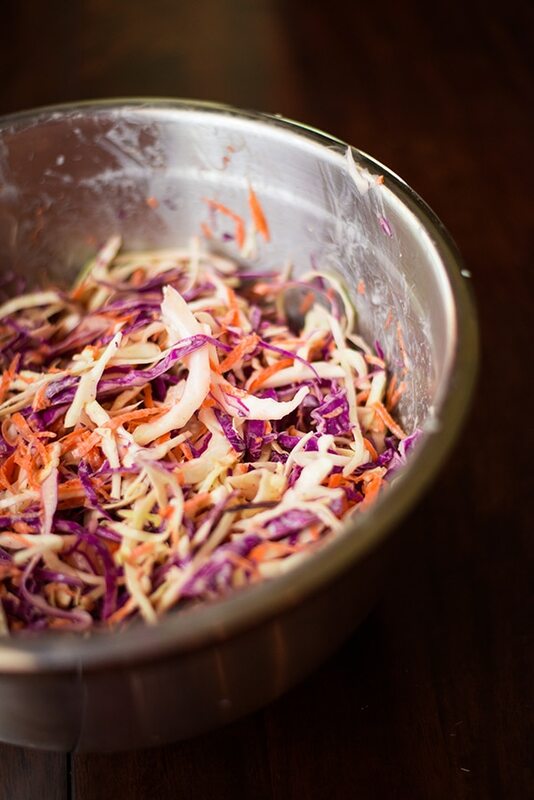 This is a very tasty easy coleslaw recipe that is sure to impress all by itself or on a pulled pork sandwich. 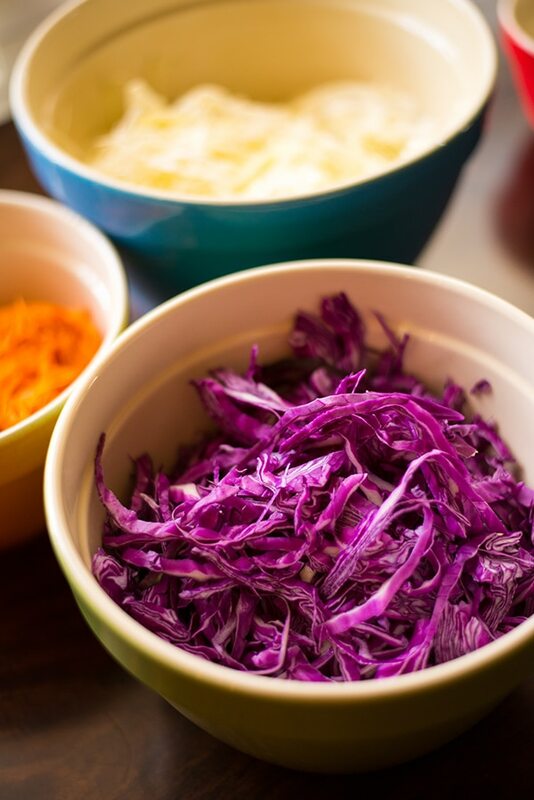 Combine the green cabbage, purple cabbage and carrot in a large bowl and mix together well. 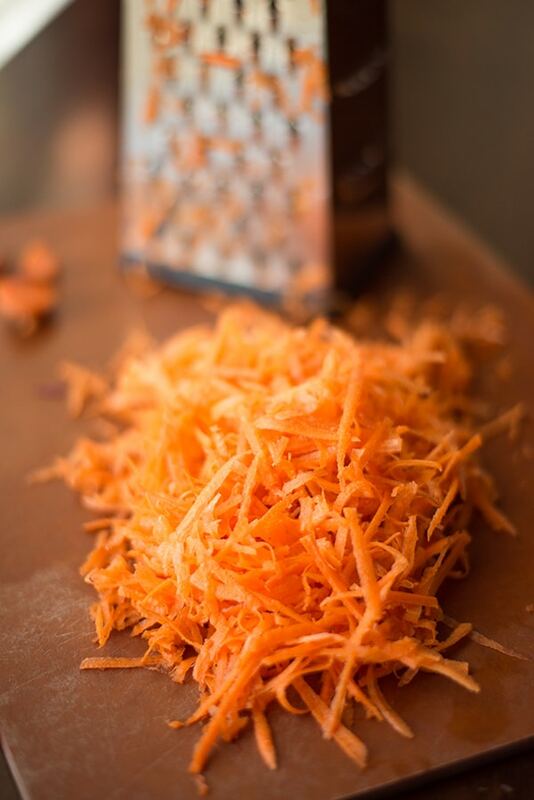 Add the remaining ingredients and mix well until evenly coated. 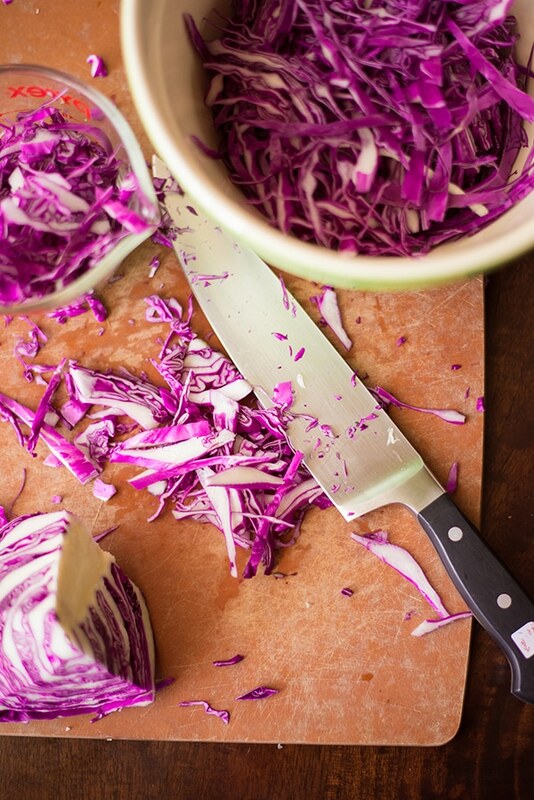 Can be served immediately or, for best results, refrigerate for at least one hour to allow flavors to meld. It used to be that way at my house too. I just kept making it and putting it on the table and now my husband and even some of my adult children eat it. It took about 32 years for hubby so I guess you may get there someday!